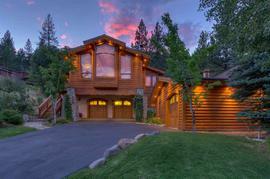 McKinney Road is located on the west shore of Lake Tahoe approximately 1 mile from Homewood Ski Area. This is a great trail to run, hike, bike and to run the dog. This connects to many trails behind the neighborhood and over to Sugar Pine State Park. Barker Pass Road crosses the Tahoe Rim Trail from Blackwood Canyon Road. Blackwood Canyon is approximately 4 miles south of Tahoe City then it is a 7 mile drive up to Barker Pass. This section of the Rim Trail is 16.7 miles to Tahoe City. This brings you past Twin Peaks and Stanford Rock, through Ward Canyon and Paige Meadows then ends near Tahoe City in 64 Acres. Patton Beach is located on the North Shore of Lake Tahoe in Carnelian Bay. 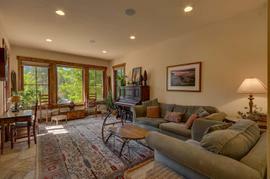 Moon Dunes Beach is located in Tahoe Vista, a short distance from North Lake Blvd / Hwy 28. Kings Beach is located in the heart of Kings Beach. Secline Beach is a small sandy beach at the end of Secline Ave in Kings Beach. 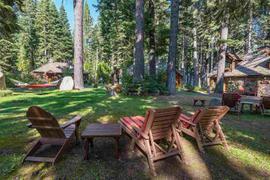 This is a neat little hideaway in North Lake Tahoe. Grab some food to go and enjoy your meal with awesome views looking south over Lake Tahoe. Food options to name a few: Hiro Sushi, Steamers Beachside Bar, Jasons Beachside Grille, Java Hut, La Mexicana Meat Market, The Grid Bar & Grill and Las Panchitas.